Throw a record into any crowd in Chicago and you will probably hit a DJ. 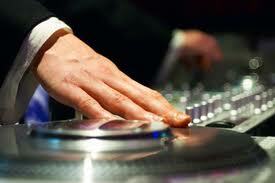 Everyone’s a DJ or knows a DJ, so finding a Chicago wedding DJ should be easy right? Not necessarily so! A lot more goes into being a wedding DJ than one might first realize. While your cousin’s friend might totally rock out her neighborhood bar, does she know how to coordinate all the special events that make up your wedding reception? Does she have the right equipment? Does she know how to use the equipment properly? Will she treat your wedding day with the professionalism and respect it deserves? If you’ve ever been to a poorly planned or executed wedding reception with a bad wedding DJ you know what I am talking about. The confusion and boredom can take all the fun right out of the day even before the dancing starts. What Type of DJ Do You Want for Your Wedding Day? The first thing you should do when hiring a DJ for your wedding reception is to take a few minutes to determine what style of DJ best matches your personalities and the kind of atmosphere you want to create for your big day. Do you want an interactive DJ who is going to play games, lead line dances, etc. or do you want someone more formal and reserved? What musical genres are you looking for? How important is the coordination aspect? How important is the dancing and the party part of the reception? Once you have figured out the criteria for your perfect DJ you should use an online review site like WeddingWire to come up with a list of reputable companies. Continue to narrow the list of potential DJ’s by visiting their websites and eliminate the ones who don’t appeal to you or match your style. When you have the list narrowed down to 3-5 companies, call and ask about their style, what types of music they play, what their approach to a weddings is, etc. Finally, pick the top 3 companies and set up a face-to-face meeting to see if your personalities match and if they can deliver what you are looking for on your wedding day. How responsive is the company to your calls and emails? Do they respond in a timely and professional matter? Trust your instincts, if you are having problems communicating with them early on in the process it is only going to get worse and add to your stress level as your wedding day approaches. Music makes memories, and the right wedding DJ will play the combination of songs, eras and genres to make your wedding reception a night to remember. The right wedding DJ will take time to get to know you, your tastes and musical preferences so he is able to incorporate your style and personal touches into your wedding day, making it a unique refection of you. A great DJ will also act as the MC for your wedding and will work with all of the other vendors to make sure everything goes smoothly so you can relax and enjoy every moment of your big day. 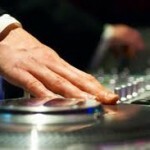 Take the time to find the perfect Chicago wedding DJ for your reception. It will make your wedding day all that much better. For more info on hiring Chicago wedding DJ’s contact the wedding experts at MDM Entertainment at 773.253.4986.